Conventional winding process, generally used for winding between 2 and 6 axes. Applicable for robots at one or multiple levels. This process is easy to use and is suitable for wet winding or pre-impregnation. 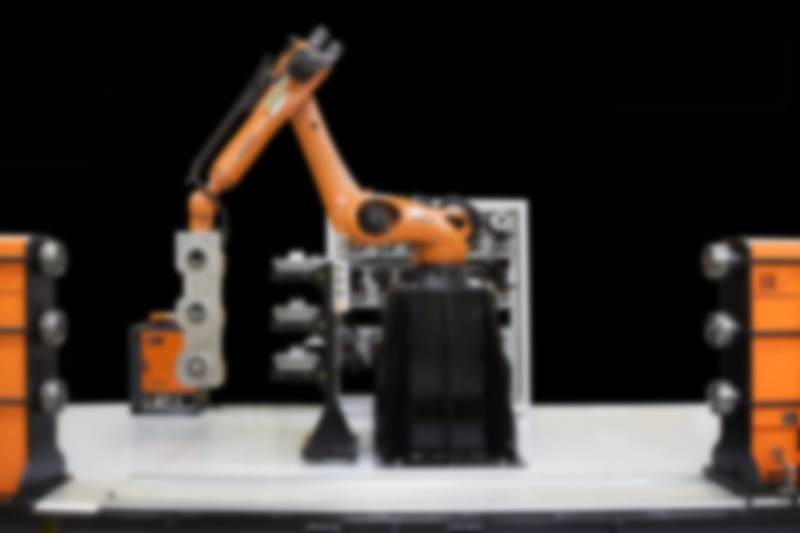 This innovation offers a high level of autonomous production and leads to a sharp decrease in automation costs. Our filament winding robots are programmable via ComposiCAD from SS&A, Cadwind, Cadfil, . . .
We are currently developing a new fiber placement head to enable you to produce parts of greater complexity. 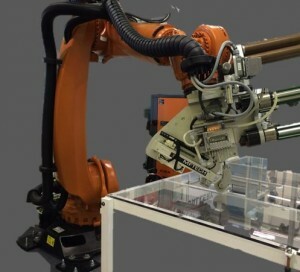 Our machining robots are programmable using PowerMill by Delcam. 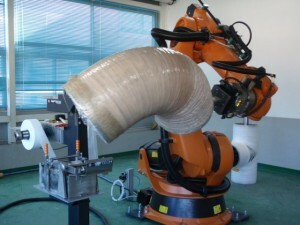 The new generation KUKA robots that we incorporate are easy to use and fulfil all development requirements. MF TECH also develops its own Mechanical and Electronic composite fiber tension systems and its own fiber impregnation baths.